This engaging and interactive resource focuses on long vowel I sound spelled with ie, igh words. 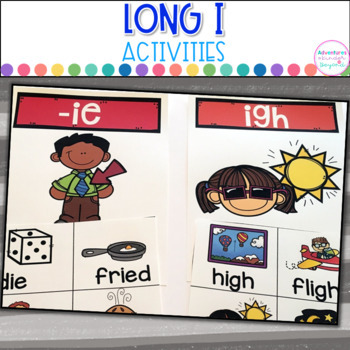 These activities are a great way for students to work on the long I sound. In this resource, students can sort picture cards in a pocket chart or they can use clothespins to clip the correct sound that goes with the picture. 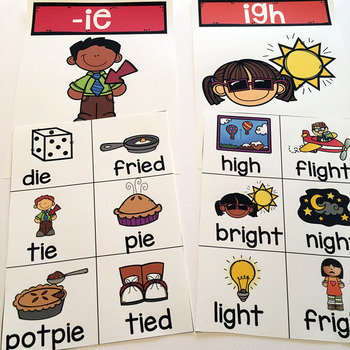 ♦12 IGH Picture cards for sorting-works great in a pocket chart. 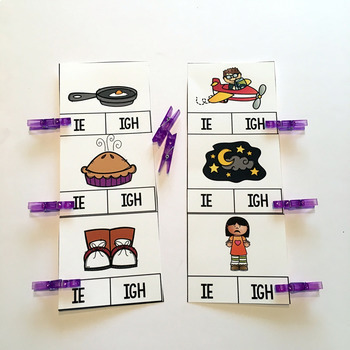 You could even use these cards for a write the room activity! 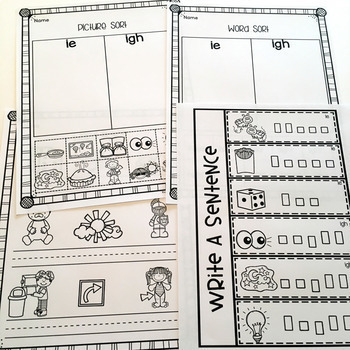 These activities are great for your literacy stations or word work! Take a look at the preview to see all that is included.